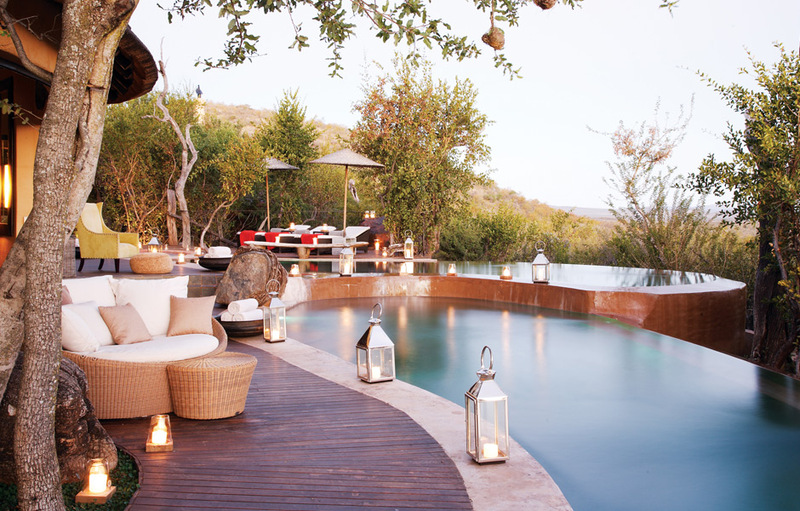 If you’re looking for the ultimate in luxury safari experiences then you need to visit Molori Safari Lodge situated within the 75,000 hectare malaria-free Madikwe Game Reserve. Numerous African Heads of State have graced her corridors so it’s no surprise the lodge is known for its exemplary service and discretion. The Lodge’s interiors were hand selected by Kirk Lazarus who focused on creating a soothing respite for weary guests through neutral palette base accented with splashes of contemporary Afro-chic. Furnishings are a combination of custom-made bespoke pieces and contemporary designs by the likes of Fendi, Boffi and Philipp Plein. 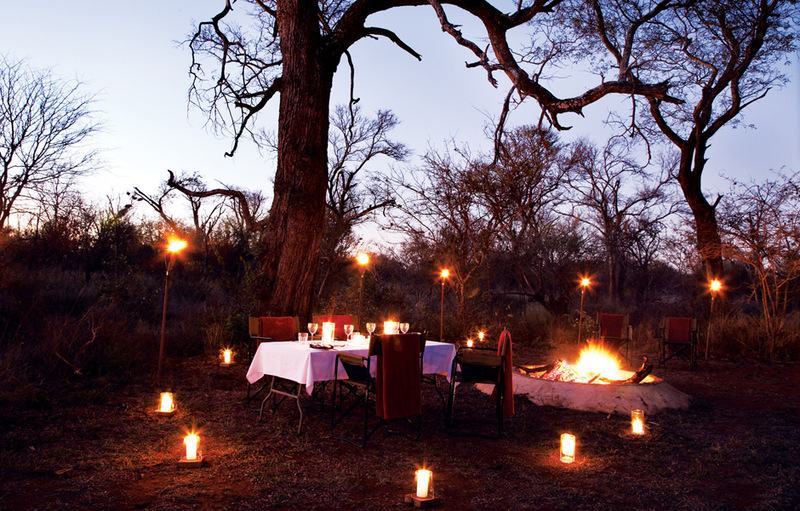 With a focus on gourmet cuisine prepared from fresh organic ingredients from the Lodge’s garden along with premium provisions flown in from Johannesburg, guests can expect a fabulous blend of Eastern and Western flavours and traditional South African cuisine. Exquisite flavours are complemented by fine South African wines and exclusive liqueurs. 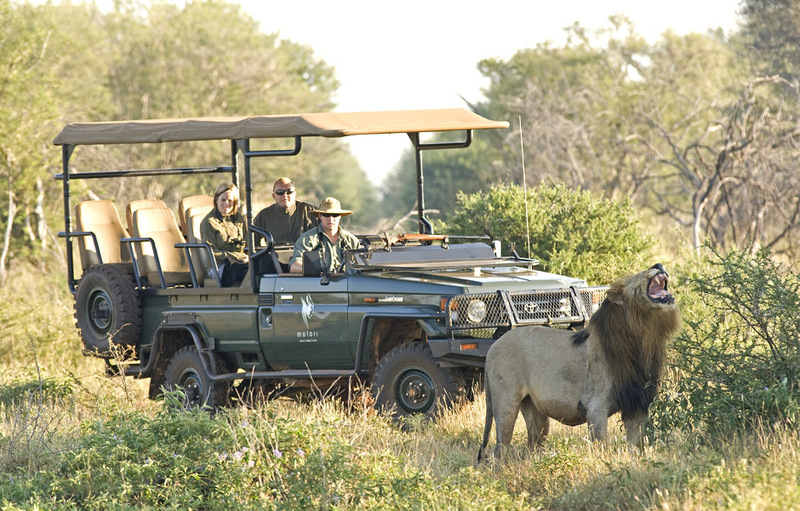 Guests will experience all the magnificent African Bushveld has to offer in twice daily game drives. A recommended activity is spending some time stargazing in the Lodge’s planetarium equipped with one of the largest privately-owned fully-automated digital telescopes in South Africa. 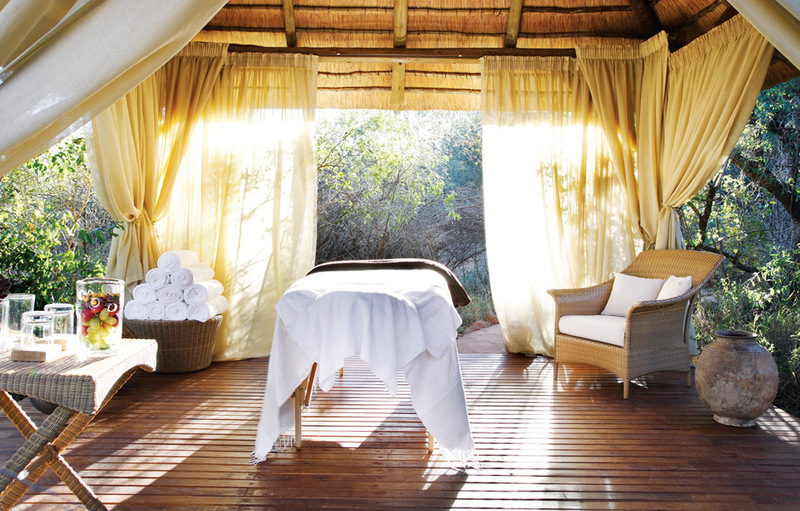 Why not visit the tranquil spa or fitness centre to revitalise your body and spirit. 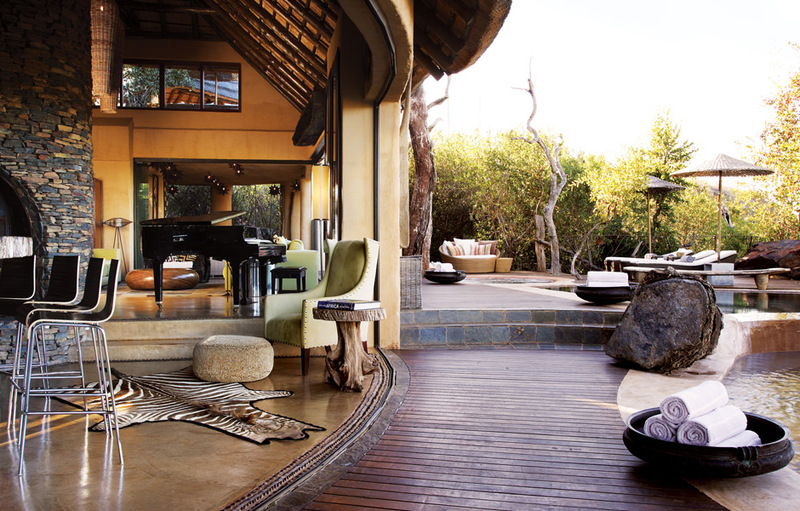 The exclusive Lodge has five free-standing suites set spaciously apart to ensure that all guests enjoy a private, intimate bushveld experience. 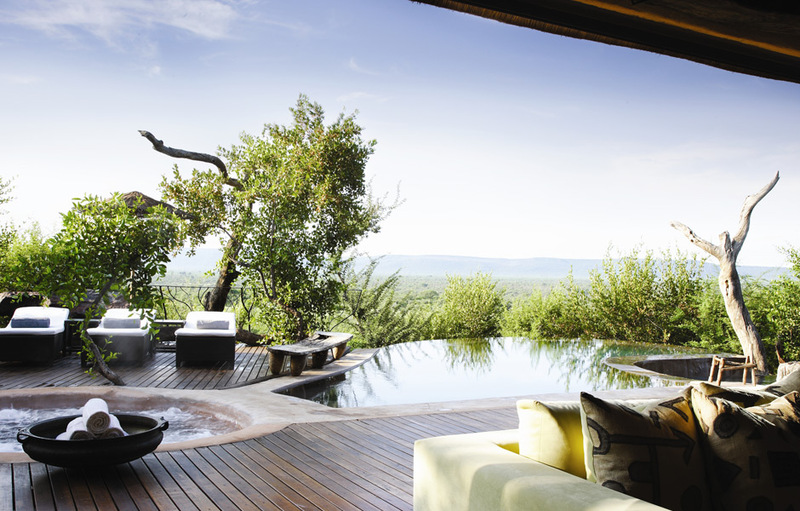 Each suite has its own private infinity pool surrounded by wooden viewing decks, indoor and outdoor showers. The en-suite suites are extremely spacious (averaging a minimum of 350 square meters) and are elegantly and luxuriously appointed.